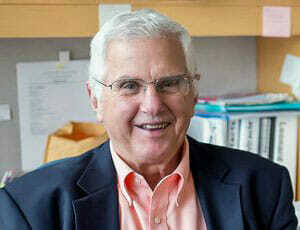 Bruce Alberts PhD, a nationally renowned biochemist and vocal supporter of science and technology education, is retiring from the Board of Directors of the California Council on Science and Technology (CCST) after twelve years of service. Professor Alberts holds the Chancellor’s Leadership Chair in Biochemistry and Biophysics for Science and Education at the University of California, San Francisco. Over his distinguished career he has held several prominent positions in the scientific community, including Editor-in-Chief of Science (2009-2013), one of the first three United States Science Envoys (2009-2011), and two six-year terms as the president of the National Academy of Sciences (NAS). He was awarded the National Medal of Science by President Barack Obama in 2014 and the 2016 Lasker-Koshland Special Achievement Award in Medical Science. 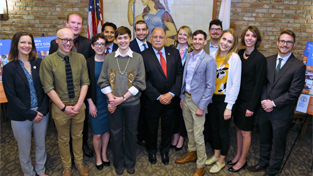 Alberts has long focused on the importance of improving STEM education, and he was instrumental in the founding of both the National Teacher Advisory Council at the National Academies of Sciences, Engineering, and Medicine and the California Teacher Advisory Council (CalTAC) at CCST. During his tenure at the NASEM, Alberts was also instrumental in developing the landmark National Science Education standards that have been implemented in school systems nationwide, standards which emphasize logical, hands-on problem solving and working in cooperative groups. 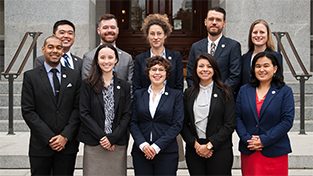 Professor Alberts has also been a strong advocate for the CCST Science & Technology Policy Fellowship program, which is celebrating its 10th year of placing PhD-level experts into legislative offices in Sacramento. Earlier this year, Professor Alberts co-authored editorials in Science and in PNAS stressing the value of the program and advocating expansion of the program model to other states. 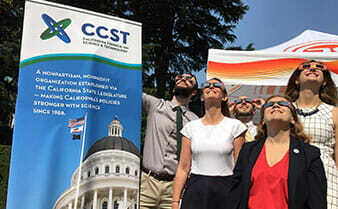 “The establishment of S&T fellowship programs in other states could greatly increase evidence-based policy-making and not only benefit state policy-makers but also help to inform national policy-making and society as a whole,” said Alberts and Mary Maxon PhD, Associate Laboratory Director for Biosciences at the Lawrence Berkeley National Laboratory in the editorial. Professor Alberts continues to serve on the CCST Science Fellows Advisory Committee, which steers the overall quality and implementation of the program.